This set contains a classic version of recordings of son and boleros with The Septeto Nacional, Raoul Plana and Tata Guinès; it is the 'Straight Master' recorded at the Egrem studio in Cuba. The second disc called 'Rhum & Bass' is as implied by it's name an attempt at another treatment of this style of music: in Orange, New Jersey, we have attempted to produce a cuban dub. 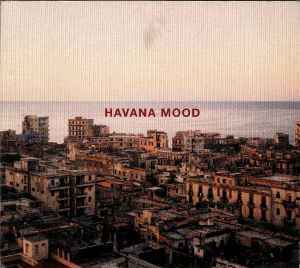 One can't quite overcome suspicions of "hopping on the bandwagon" when first encountering _Havana Mood_. Hot on the heels of Ry Cooder's universally acclaimed Buena Vista Social Club project, Bill Laswell and Jean Touitou grab a flight down to Cuba and record their own group of grizzled, ancient legends. The discomfort comes from finding Laswell in the wake rather than in the vanguard of an idea; one wonders whether commercial considerations weighed more heavily than artistic or archivist ones in the planning of this project. Not being privvy to the inner workings of the producers' minds, let it be understood that this is nonetheless a really fine set. The smoky ambience of the sixty-year-old Septeto Nacional and friends recorded here is a milestone of Afro-Caribbean culture. While only a novice in the genre, I have learned that these men were among the players to first develop the "son" sound in Cuba as well as apparently being the first to use the term "salsa" in a song title. On top of these impeccable historical credentials, their mature voices - deep and dark as polished mahogany - and virtuoso playing really swing, and the seduction of the listener is complete. Furthermore, Laswell's and Touitou's package goes a step further than the Cooder project. While the first CD is a "straight", untweaked session documenting these seasoned players going flat out and featuring plenty of vocals both male and female, the second CD is a dub translation, very much in the spirit of _Boniche Dub_; once again Bill seems to share the dubbing duties with Jean. In common with that record, this attempt at creating "Rhum and Bass" dub seems a tad unfocused at times, but definitely holds a certain fascination. An interesting project housed in APC's finest package yet.